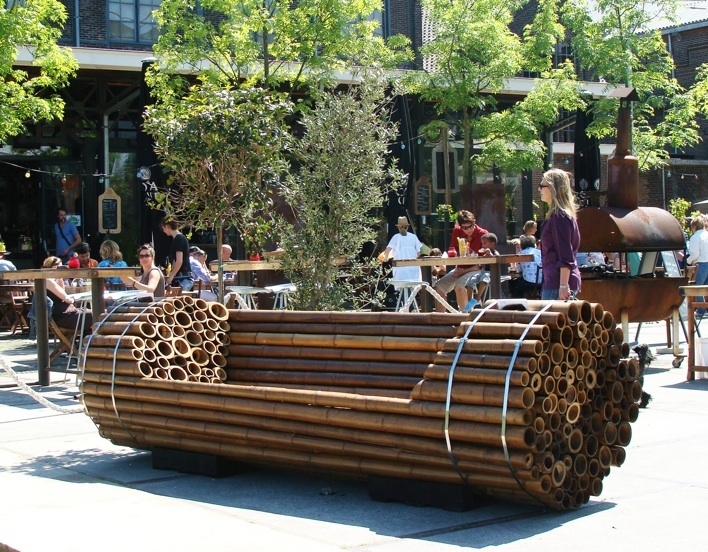 In the hectic city full of concrete and iron the Pile Isle Bamboo Bench is bringing back the nature. Particularly material is the key for success. 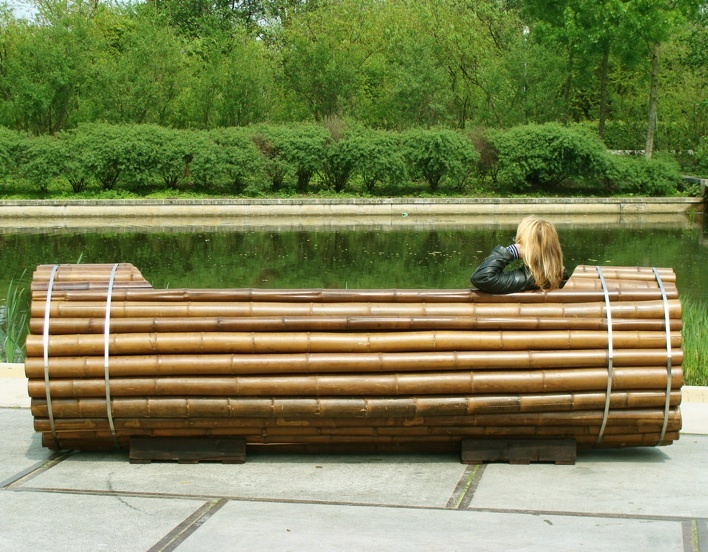 Bamboo poles got an extraordinary charisma to the users. Moreover they are very ecological due to their small carbon footprint. They grow almost ready to use and can be easily recycled. 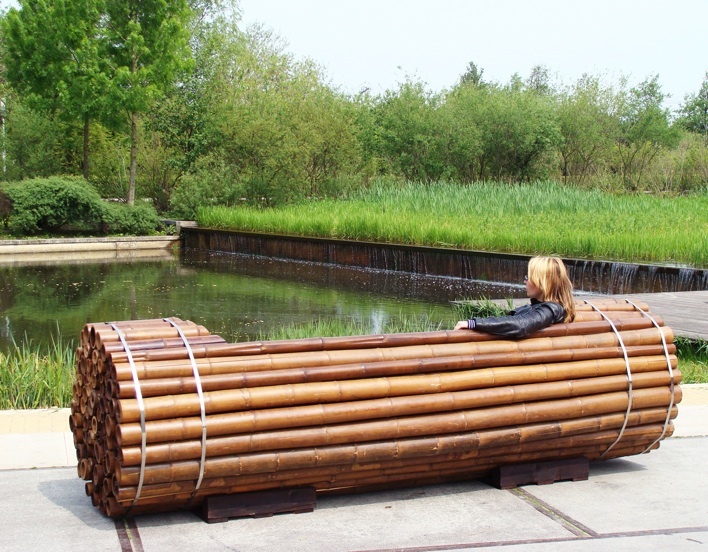 The way of shaping the bench is astonishing simple – no screw and no glue are needed to fix the product! 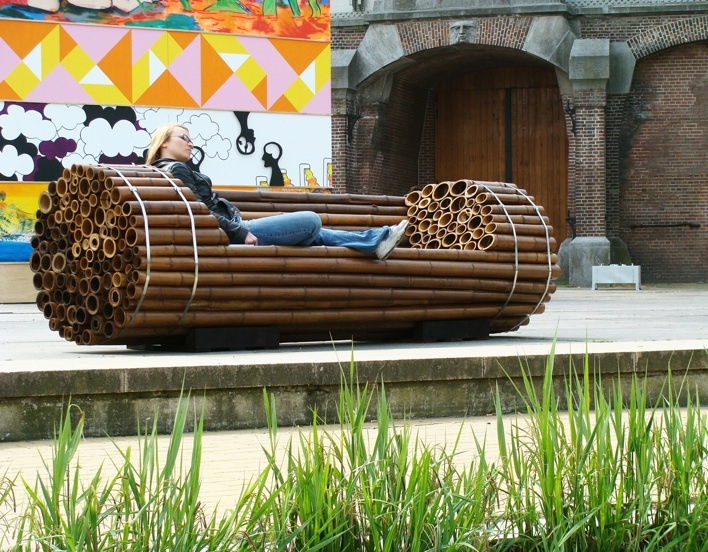 The material and the design together are giving a comfortable place for social interaction.